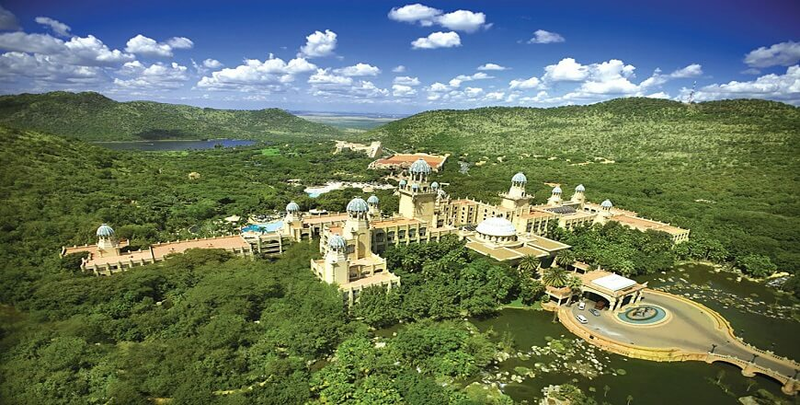 This is a Delightful South Africa Tour, a package of 7 nights and 8 days, by Ghum India Ghum, which offers you a chance to visit almost all the prime attractions of the South Africa. The itinerary also includes exploring wildlife at the Cango wildlife Ranch, spotting Jackass Penguins and many more. After arriving at the Cape Town airport, our tour representative will help you with an assisted transfer to your pre-booked hotel. The rest of the day is leisure. After a special dinner, retire to the comforts of your home for an overnight stay. After breakfast in the hotel, proceed for sightseeing of Cape Town. Proceed for going aboard the Table Mountain Cable Car 3600. During the ride, you enjoy a spectacular view of the city and coastline. Later, enjoy in Kirstenbosch Botanical Gardens. Next in line is visit to the well-known Victoria and the Alfred waterfront, one of the most-visited tourist attractions of Cape Town where one can indulge in shopping and guided boat cruise, Green Market square- a historical square, District Six. Drive past popular buildings like the Houses of the Parliament, the Castle, the City Hall and Slave Lodge. The last visit is to the market to indulge in shopping at the Canal Walk Shopping Centre, overnight stay at hotel. After having your breakfast in the hotel and later leave for a day’s excursion to the Cape of Good Hope. Drive through Ou Kaapse Weg and the Atlantic Coast to arrive at Cape Point where the Atlantic and the Indian Ocean meet. Enjoy the spectacular view. Later, enjoy a glass bottom boat cruise towards Hout Bay to reach the Seal Colony (Note: Subjected to weather conditions). During the return cruise, along the False Bay Coast, to view the Jackass penguins found at the Boulders Beach. Later, halt at the Simon’s Town, a beautiful town that is also an important naval base. Post dinner, stay overnight in Cape Town. After breakfast in the hotel, check-out of your hotel and proceed for Knysna through Mossel Bay, a harbor town. Visit the Bartolomeu Dias Museum complex, the largest of the museums in this town. Next in line is a visit to the Post Office Tree – a book- shaped post box under the tree, which is a national heritage site. Continue to Knysna. On arrival, complete the check-in formalities at the hotel after which you leave for the memorable sunset cruise. Have dinner, overnight stay in Knysna. After breakfast, leave for Oudtshoorn, a town housing the world's largest ostrich population. To reach ‘the Feather Capital of the World’, set in a semi-arid valley, you drive past, the Wine lands along the Breede River. Visit the famous Cango Caves, to view the stalactite and stalagmite formation is a spectacular sight. After breakfast at the hotel, get transferred to the Johannesburg International Airport to board the flight back to home. Page rendered in 0.4792 seconds.